Welcome to huntLINX! 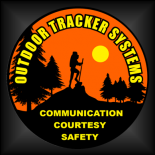 | Outdoor Tracker Systems, Inc. Outdoor Tracker’s huntLINX software is a web-based satellite mapping and communication program that includes Outdoor Activity Management applications (Hunt, Scout, Fish, Trail), Property & Wildlife Management software, a Game/Trail Camera Organizer, Guide and Outfitter Client Management module, and an E-Journal to record and retrieve information about you experiences afield. There are five (5) versions of huntLINX available : Starter, Sportsman, Professional, Outfitter, and huntLINX 500. -40+ data fields that include food plot plant dates/products, preferred winds, baits, minerals…. -Reports feature to sort data by preferred wind, food source, location, etc. Whether you hunt the same 20 acres every year, hunt multiple private/public areas or are an outfitter with hundreds of locations, there is a huntLINX program for you. And, huntLINX also includes an optional communication platform that allows you to leave a record behind for safety, privacy or emergency response. Now, you can readily make informed decisions about the places you want to hunt, while letting others know about your activity and location. This entry was posted on June 8, 2013 by outd9522 and tagged acres, activity, application, archery, bait, blind, camera, camp, client, communication, crop, deer, detail, duration, emergency, fish, food, food plot, game, guide, harvest, hike, hunt, hunting, huntlinx, journal, location, manager, map, mapping, maps, media, mineral, outdoor, outdoors, outfitter, photo, pics, privacy, private, property, public, response, safety, satellite, software, stand, turkey, wildlife, wind.